At Eva’s Village, there is no wrong door to accessing services. Some people come to us simply for a meal; others come to take the first step on a journey of recovery from addiction. 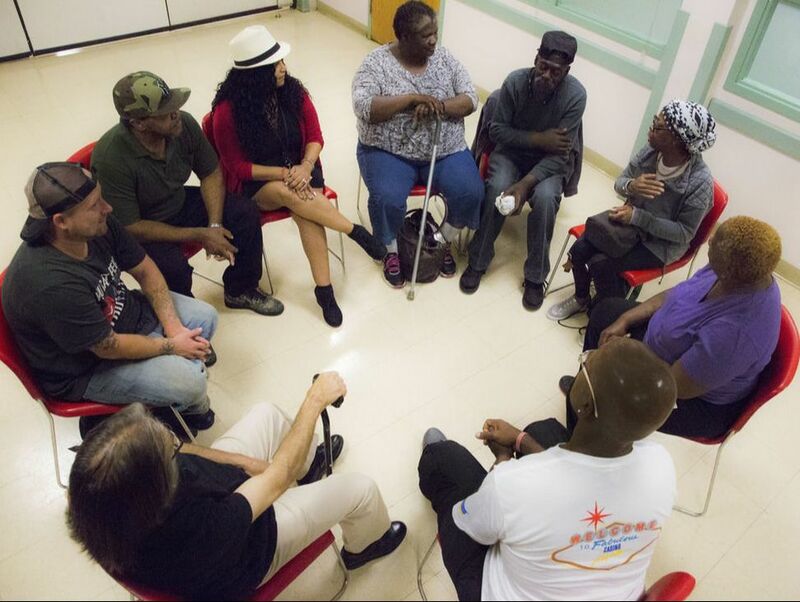 Through our comprehensive, individualized approach, every person who comes to us for help can be connected to a wide array of programs that address both basic needs, such as food and shelter, and more complex issues around addiction, mental illness, chronic homelessness, and lack of job training. Our community includes dedicated professionals, understanding peers, and caring volunteers who provide a supportive community and comprehensive care for all their needs. From our Community Kitchen, to comprehensive recovery services, to New Jersey's first peer-driven Community Recovery Center and The Culinary School at Eva's Village, every program provides another opportunity to achieve success.